I am proud of the way my blood sugars have been behaving over the last day or two. I still can’t say it’s great, but it is a lot better than the sugar levels I had a week ago. I hate talking about numbers, because everyone’s body is different and they will feel more comfortable with their blood sugar within a certain range. But I’m going to anyway—- my doc wants my blood sugars between 70-160 mg/dL. Over the last 7 days, I have averaged a blood sugar reading of 152mg/dL (according to my tester). My lowest blood sugar this week was 34 and the highest was 314mg/dL. With that total (big range, I know!) I was within my goal only a total of 35%. Above goal 41% and below goal 24% (my sugars are below 70mg/dL nearly every morning). Just to show my point, I am using my own numbers. Everyone thinks it is so easy to keep normal blood sugar levels— you just take more insulin! Yea, it’s not ways that easy. Even with testing my blood sugars an average of 5-6 times per day, I am still not perfect. I don’t think anyone can be perfect. Even with great blood sugar averages, you can eat something you shouldnt have, or accidently disconnect your insulin pump and have a spiked blood sugar level. 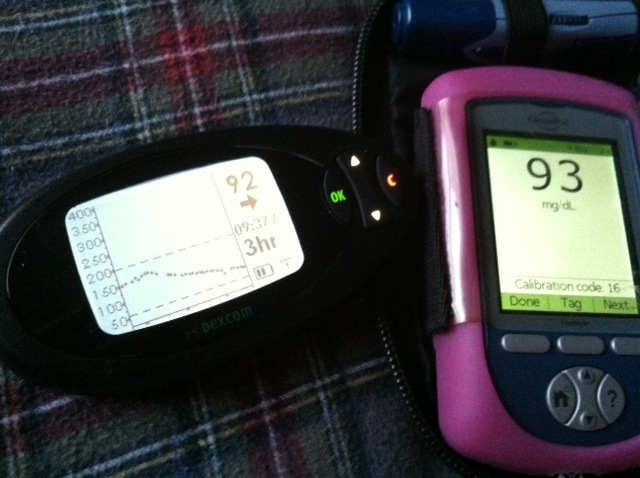 With my right-now-out-of-control blood sugar levels, I have nothing mechanically wrong with my body because of it! My feet have no sores or loosening fingernails, I am not obese or extremely overweight from too much glucose being in my blood stream and my eyes are perfect. Maybe I am just lucky, or maybe its only because my blood sugars havent been so out-of-control for too long that I am healthy. It is scary to see how many things could go wrong. Again, I am not perfect. I am judgmental enough (to myself) to probably never feel like I will never have perfect enough blood sugar levels. I feel like every type 1 diabetic feels like that. If you feel like you are a perfect diabetic — please tell me how and why in the comment section below! I agree that every body is different. I don’t feel well when the glucose gets down around 85/90…. I guess because the number has been so high for so long that a ‘normal’ number doesn’t feel normal. I feel fine when at 150 or 100+…. I am type 2 though. Thanks for sharing your truths, Calla. I don’t think there is such a thing as a perfect diabetic. We all struggle with it sometimes (even most of the time?). I definately don’t feel like a “perfect diabetic” is possible, even if you are checking your blood sugars 8+ times per day. If you read my perious post about Diabetes and Pregancy — you’ll see that some even get yelled at by doctors for being “uncontrolled” with a spike to 150! We (diabetics) might think we are doing so well — yet there will ALWAYS be someone there to judge! Just started reading your blog. 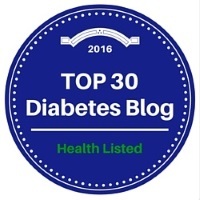 I’m in my first year as a diabetic type 1(diagnosed) and finding the judgment of others hard. I’m far from eating like a seasoned diabetic would eat but I am trying everyday to get a little better. Today I had a fellow employee chastise me on my breakfast food yet she had just ate a bag of trail mix. Now I know trail mix is a healthier choice, I am sure the whole bag was not. Judgment aside I do value her opinion just not on her delivery. Frustrated on a Sunday morning…. We have all been there!! I’m glad to hear you are doing so well just coming into this game. It does get easier, as I’m sure you’ve already experienced! Good luck with all your efforts, and thanks for following my blog!